Ryan Murphy has become the KING of anthology series, with American Horror Story set to complete at least nine seasons and the first season of American Crime Story becoming an instant critical hit. 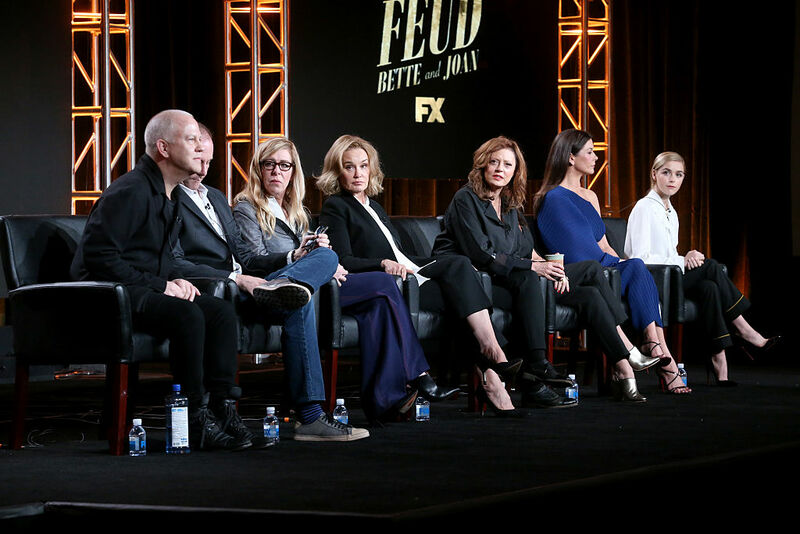 The first season of his newest anthology series, Feud, is set to premiere on March 5th on FX and is already one of the highest anticipated shows of 2017. Now, we’re getting a first look at the trailer for Feud: Bette and Joan. The 25 second trailer takes us back to the end of Hollywood’s Golden Age on the set of Whatever Happened to Baby Jane? and one of the most iconic feud in Hollywood history. The first season of Feud centers around the famed feud between two of the most famous actresses in Hollywood’s Golden Age, Joan Crawford and Bette Davis, who famously battled it out on the set of this 1962 cult-classic film. Entertainment Weekly gave us a first look at Feud for it’s most recent cover. This seems ~so~ relevant, seeing how the entertainment industry still mistreats aging actresses. 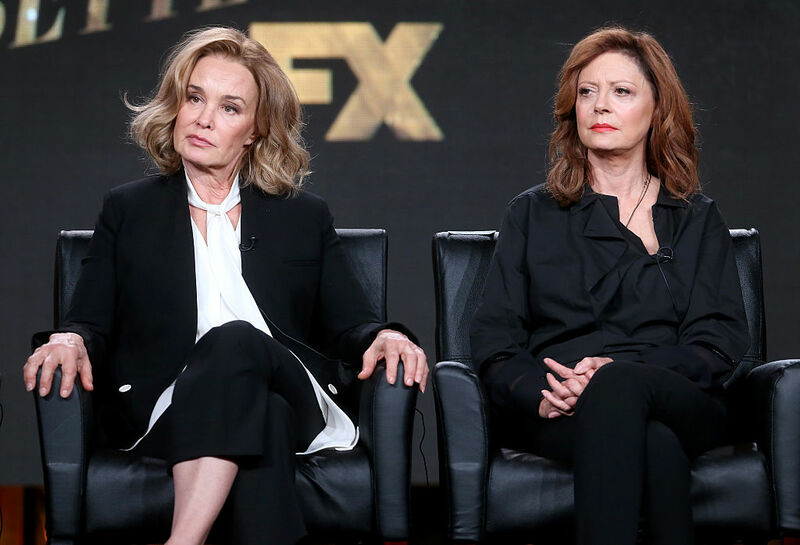 Starring as Crawford and Davis are (AHS longtime staple) Jessica Lange and Susan Sarandon. Also starring are Alfred Molina as Robert Aldrich (who directed the picture), Stanley Tucci (as Jack L. Warner), and Sarah Paulson and Catherine Zeta-Jones (as Geraldine Page and Olivia de Havilland, respectively, as two other big-time actresses). We seriously can’t wait to see it all play out in March!